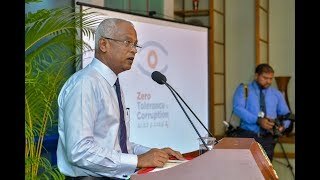 President Ibrahim Mohamed Solih has stated that fighting against corruption should begin with oneself and everybody’s contribution is needed to fight against corruption. He made this remark at the inaugural ceremony of the Zero Tolerance to Corruption Campaign held at The President’s Office this morning as part of the First 100 Working Day key pledges of this administration. During the ceremony, the President noted that today’s campaign is to give assurance to the community that this administration will not tolerate corruption at any level. He also underscored that in order to prove that to the citizens government has already taken actions to maintain integrity. The President called upon all the employees in of all levels to use web portal introduced under today’s campaign. Further, he appealed all staff to notify the government if they notice any incident at the workplace related to correction. 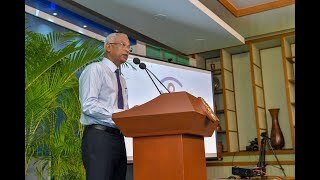 Moreover, President Solih called upon the community to use the web portal and fight against corruption. Speaking at the event the President shed light on the importance of protecting the identity of those people who provide information regarding corruption. Therefore, he noted that this administration has already sent a bill based on protecting whistleblowers. 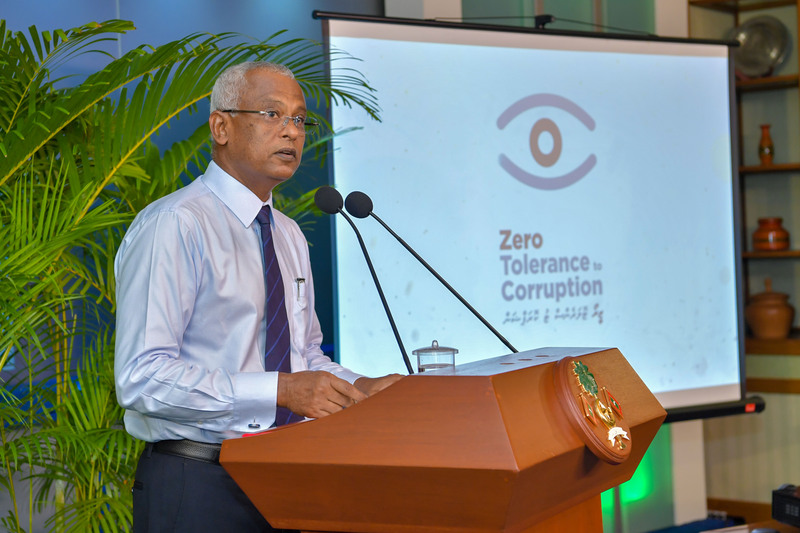 Following the inaugural ceremony of the Zero Tolerance to Corruption Campaign, the Cabinet Ministers along with President and Vice President participated in a program conducted on Anti-Corruption and Good Governance for those serving in elected posts and those appointed to political posts.